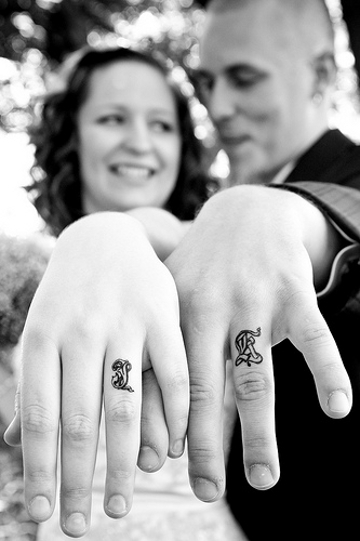 Fear not, for the picture above is actually photoshopped and such a pierced wedding ring does not, to my knowledge, exist - not yet, anyway. 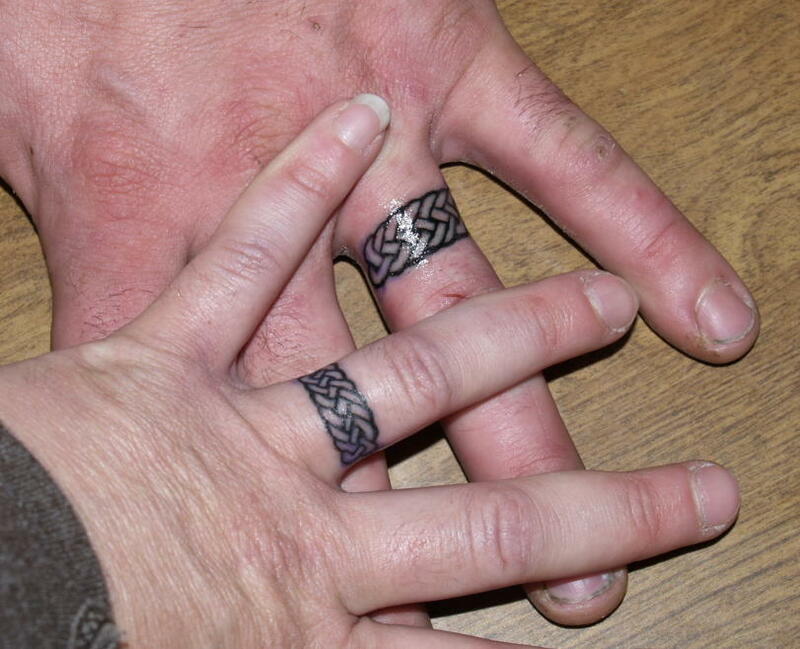 However, another type of alternative wedding ring is becoming more and more popular these days, and is in fact more extreme due to its permanent nature. 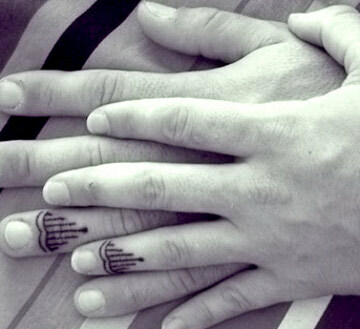 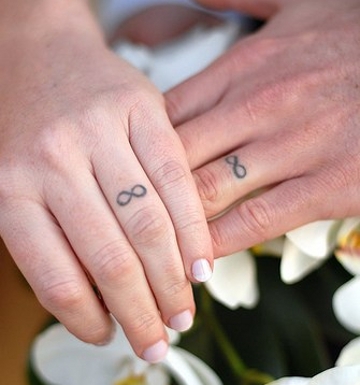 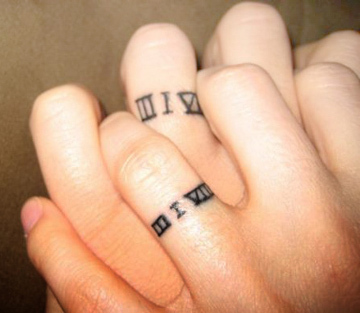 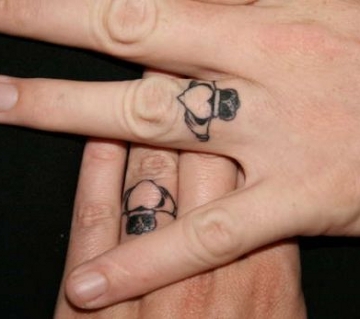 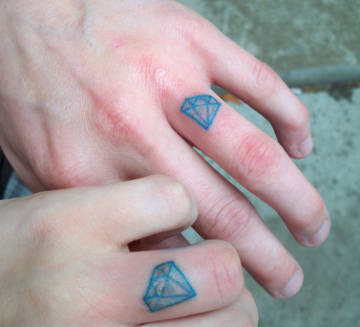 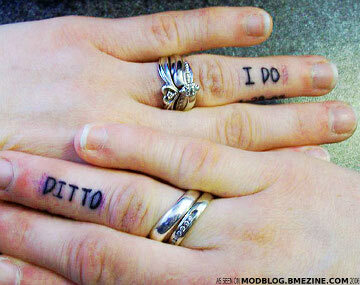 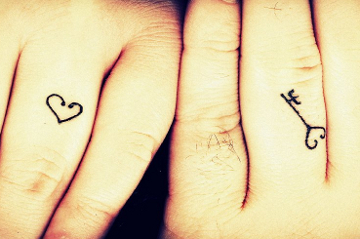 It's the tattooed wedding ring: an ink-based declaration of love that is growing in popularity for a number of reasons. 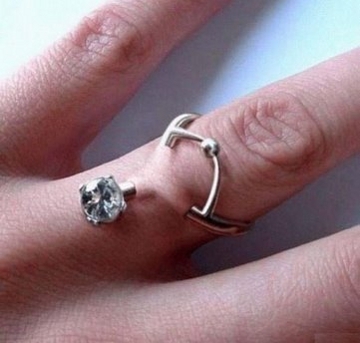 First of all, it's generally cheaper than buying a ring; secondly, it's impossible to lose; also, it allows for a far more personal touch; and finally, it's very unique.